You know you've mastered something when you earn the nickname "Mr. (that thing)." 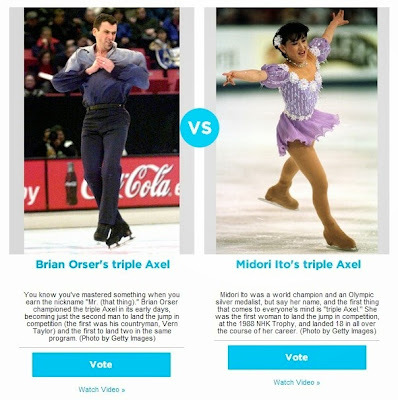 Brian Orser championed the triple Axel in its early days, becoming just the second man to land the jump in competition (the first was his countryman, Vern Taylor) and the first to land two in the same program. 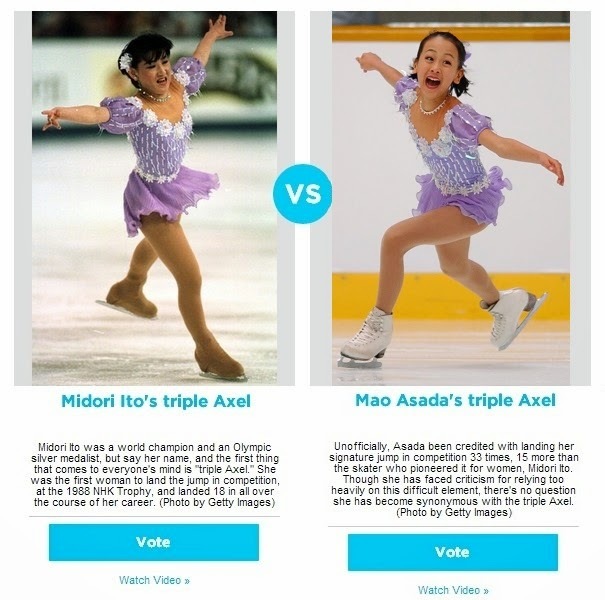 Midori Ito was a world champion and an Olympic silver medalist, but say her name, and the first thing that comes to everyone's mind is "triple Axel." She was the first woman to land the jump in competition, at the 1988 NHK Trophy, and landed 18 in all over the course of her career. Unofficially, Asada been credited with landing her signature jump in competition 33 times, 15 more than the skater who pioneered it for women, Midori Ito. Though she has faced criticism for relying too heavily on this difficult element, there's no question she has become synonymous with the triple Axel.